Roots of Light Soundjourney — Pure Kakaw - cacao drinks for creativity, health & ceremonies. Louis & Rafaela will share their sounds once more in Amsterdam in collaboration with Mahara and Pure Kakaw. 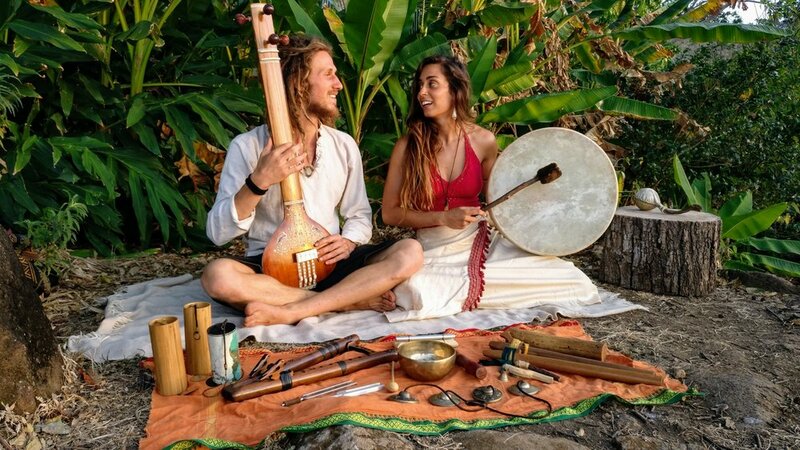 A collaboration between friends with their roots around the world with passions for cacao, instruments, singing, connecting, nature and much more. Contribution: €19~€31 depending on how much you can share. -> costs involve travel from Belgium by Louis & Rafaela, cacao, Mahara living room and five people sharing their gifts.